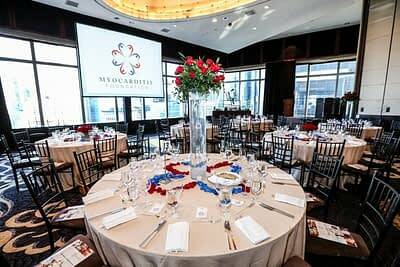 having our 4th Annual Fundraising Gala at The Mandarin Oriental in New York City on Thursday June 20, 2019. Thanks to your previous generous support, the Foundation has been able to establish the Myocarditis Biobank. Working with major institutions both around the World as well as within the United States, we believe that these samples will bring a diversification of demographics for research analysis and earlier detection and medical treatments for the disease. Please join us again at The Mandarin Oriental Hotel, overlooking beautiful Central Park in NYC. 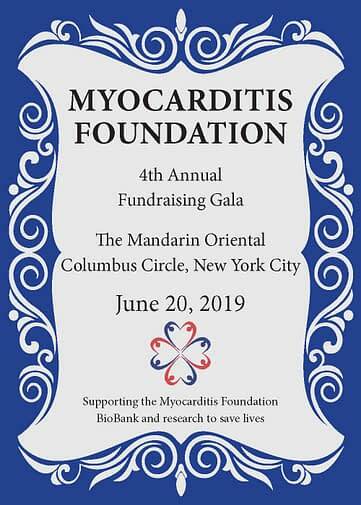 General Donations and Individual tickets ($500.00 each) can be purchased through the Myocarditis Foundation Website under the Donation Button, or if you would like to sponsor a table for 8-12 attendees, you can contact the Myocarditis Foundation at (281) 713-2962 or Lauren Stanco at (914) 646-4514. Help us put an end to this devastating disease which knows no discrimination to age or demographics. Your support will continue to propel us on our Mission of Education, Research and Emotional Support for those affected by this disease, with our singular goal of Saving Lives.